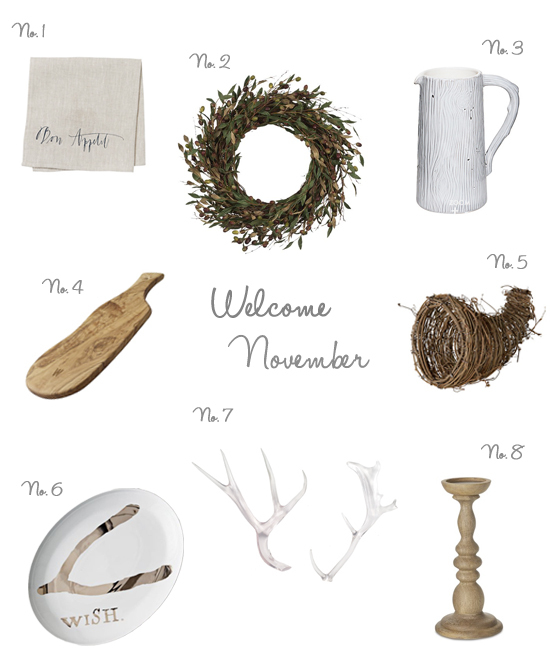 The Design Boards: Welcome November! I'm really looking forward to the holidays this year, especially after putting together this month's design board! When I was finished I noticed that all my picks were mainly white and wood tones which I really love together. Do you ever notice a theme in something you are doing after you do it? It's like somehow subconsciously your brain is piecing together a color story without you even realizing it!